For those of you who took my advice and grew your own basil this summer (see my previous post “Grow Your Own”) and/or if you made the easy pistachio pesto I blogged about in early September, here is a great way to put that pesto to use. 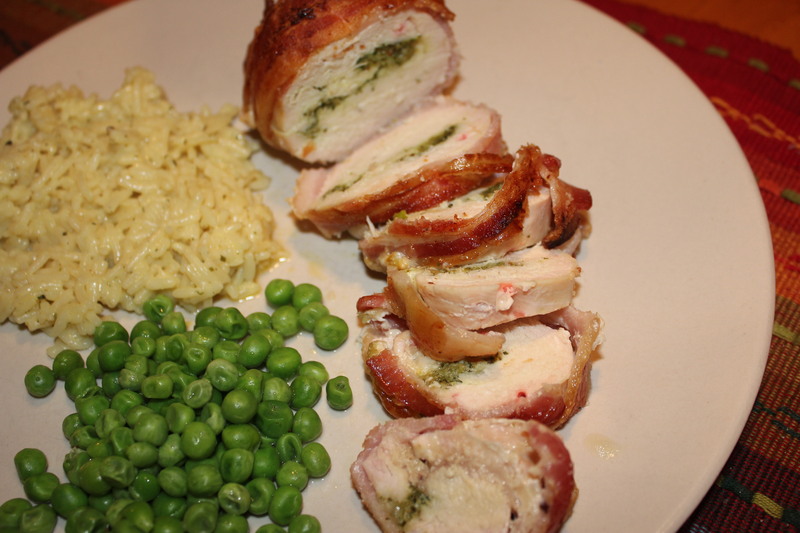 These yummy stuffed chicken breasts are easy to make and are so tasty. Of course they are – they have bacon and cheese – two of the best foods in the world! If you don’t want to make your own pesto, I guess you can substitute with the store-bought stuff – sigh. 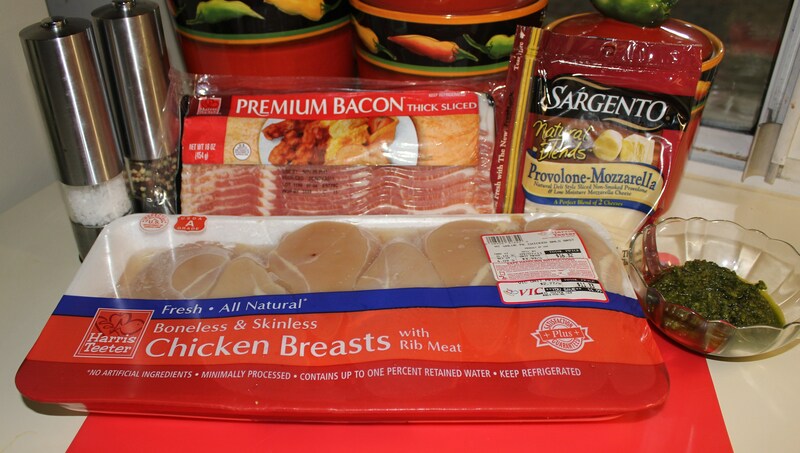 Preheat oven to 400 degrees F. You will need to pound each chicken breast flat. Take a piece of chicken and place it between two sheets of wax paper. 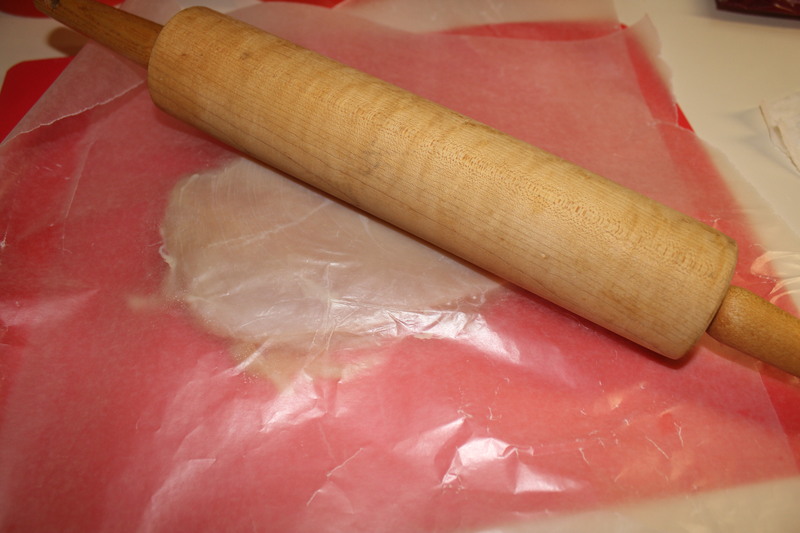 Pound until flat (I use my rolling pin.) BTW – this is an excellent way to relieve any pent-up frustrations! 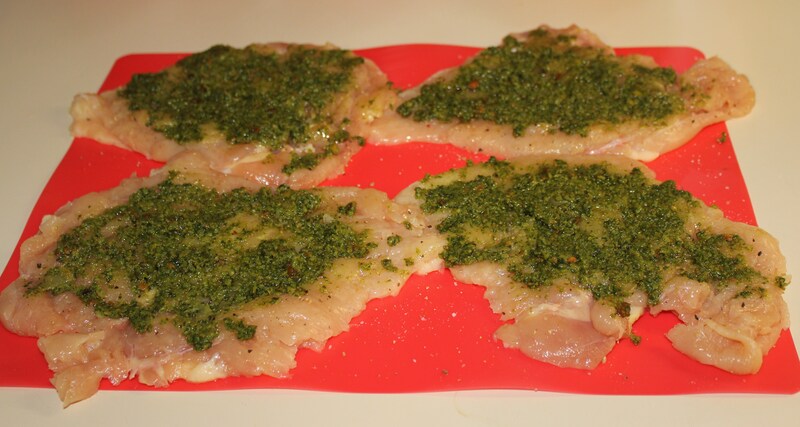 Season the chicken with ground pepper and salt, and then spread one tablespoon of pistachio pesto on each piece. 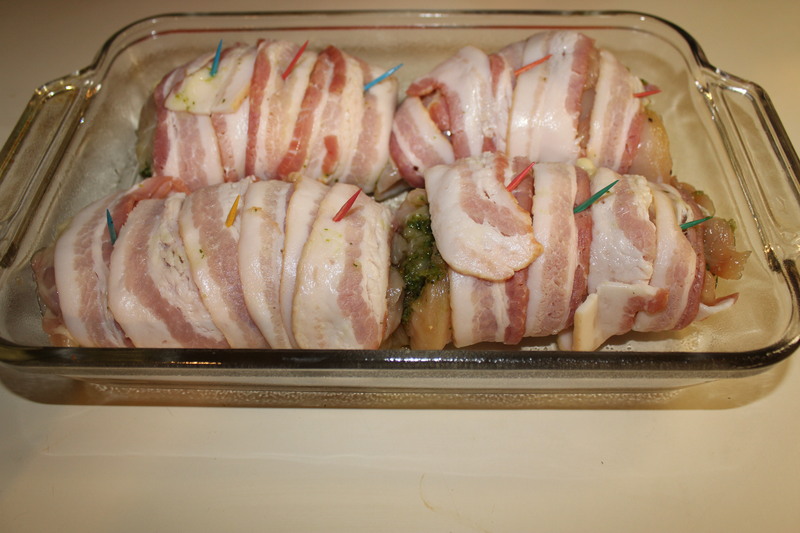 Place each chicken breast into a lightly greased baking dish. 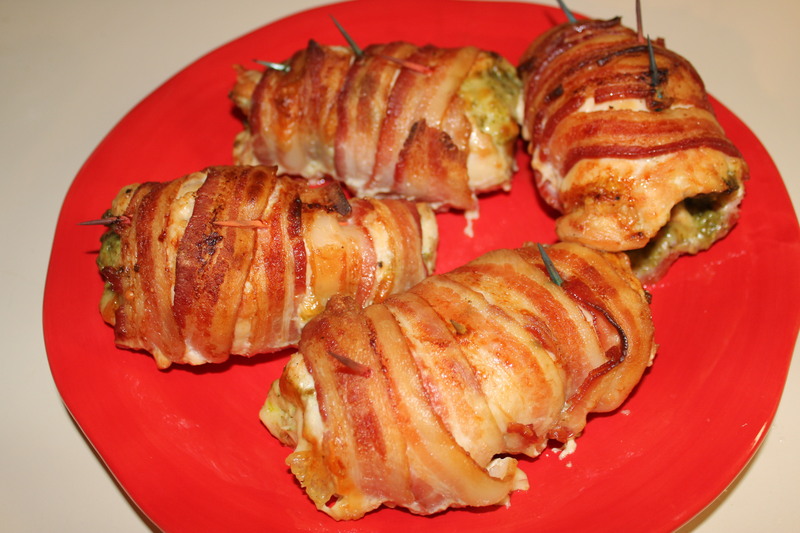 Cook for approximately 30 minutes, until the chicken is no longer pink inside (the center of the roll should be at least 160 degrees F) and the bacon is crisp. Cut each roll into quarter-inch or so rounds. Serve with a starch, green vegetable and a glass of good Sauvignon Blanc or even a Chardonnay and enjoy! 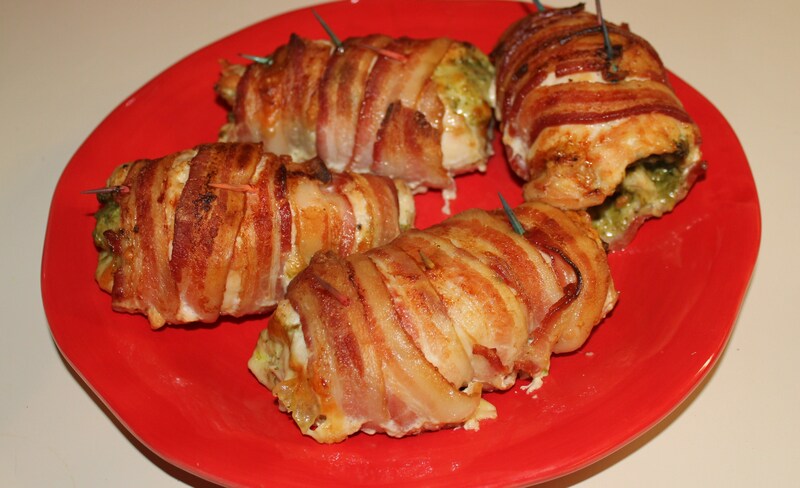 This entry was posted in Meat and Poultry, Recipes and tagged bacon wrapped pesto cheese chicken, eat drink and be merry, kel's cafe of all things food, Kelley Chisholm blog, Kelley Chisholm recipes, pesto stuffed chicken, Raleigh food blog. Bookmark the permalink.